ALPHA MEDICAL TO LAUNCH A MOBILE DENTAL SURGERY! 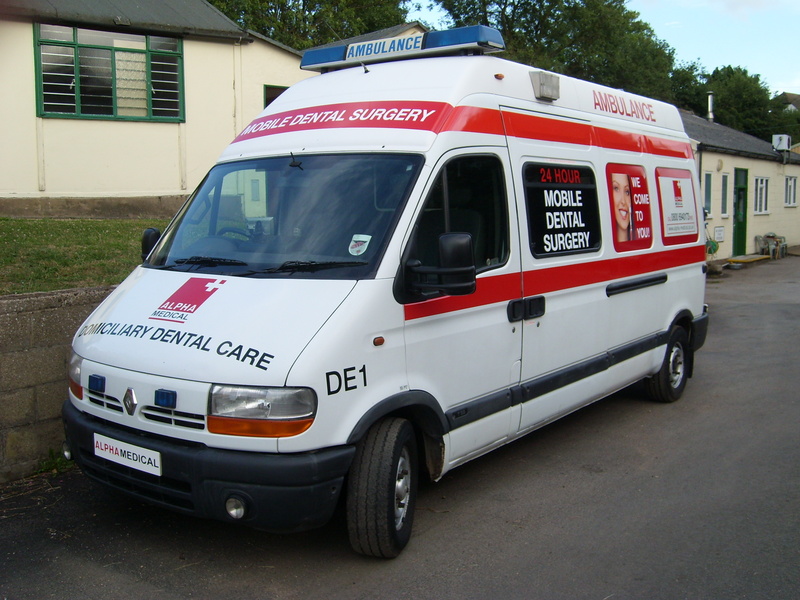 On 1st October 2008 Alpha Medical will launch a Mobile Dental Service for NHS and private patients - and the service will be available 24-hours a day! Managing Director of Alpha Medical, Steve Richards, said “We’re going to offer a very high quality mobile dental service to everybody who lives (or works) in Essex or any of the surrounding areas”. The Alpha Medical Domiciliary Dental Care Service, based in Chelmsford, will visit patients in their residence or workplace. Treatment will be carried out immediately in a well-equipped Mobile Dental Surgery or, in some cases, dentists will treat patients in the comfort of their own homes. Each Mobile Dental Surgery will carry a wide range of portable equipment so that the Dental Teams will be able to treat every patient in a highly professional way. In the majority of cases a fee will be charged but, for many patients, the new service will be the perfect solution for their specific needs. This press release was distributed by ResponseSource Press Release Wire on behalf of Alpha Medical Limited in the following categories: Children & Teenagers, Men's Interest, Health, Leisure & Hobbies, Home & Garden, Women's Interest & Beauty, Environment & Nature, Sport, Consumer Technology, Business & Finance, Education & Human Resources, Medical & Pharmaceutical, Public Sector, Third Sector & Legal, Transport & Logistics, for more information visit https://pressreleasewire.responsesource.com/about. DENTISTS CAN NOW VISIT YOU!